Some SaaS businesses waste time and money by focusing on quick fixes. But your company can acquire more customers with limited resources by concentrating on the right strategies. “For e-commerce startups, the most difficult thing is focus. It’s easy to focus on a niche for your products, but very difficult to focus on a ‘niche audience,’” says Brian Zeng, CMO of OwnOnly. Approach customer acquisition with a solid plan. Build the foundation by developing relationships with your target audience. It’s very unlikely that a first-time visitor will stumble upon your website and automatically buy your products. Prospective customers must be fully engaged with your brand before they make a purchase. First, know your ideal customers’ pain points. Conduct in-depth meetings with sales. Arrange informal conversations with existing customers. And work with the marketing team to develop accurate buyer personas. Identify ways to connect your company’s values with your consumers. Nike uses a similar technique by promoting their mission of fitness, sports, and motivation. To their brand, everyone is an athlete. Social media is another effective way to build engagement. Shoppers talk about brands everyday. They’re dishing out the good, bad, and ugly. Use a social media monitoring tool, like SproutSocial, to track those conversations. Initiate dialogue with prospects, and encourage your team to set up one-on-one interactions. 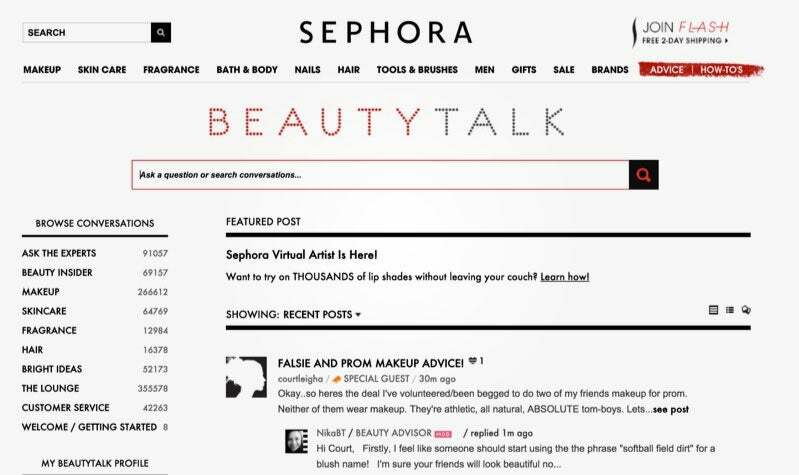 For example, cosmetics brand Sephora facilitates an online forum, offering people expert advice, celebrity tips, and tutorials. Community engagement delivers transparency to your customers. It connects the brand’s values with your consumers. Overall, it’s a key factor in signing up more SaaS customers. Acquiring customers doesn’t necessarily equate to higher costs. Learn to monitor your spending. Avoid recruiting a large sales team to grow a scalable sales model. “Try using the founders of the company on as many sales calls as possible. After all, they have the ability to change the messaging, change the product, and react to what they’re discovering in failed sales calls,” states David Skok, General Partner at Matrix Partners. Check out their step-by-step guide on how to calculate customer acquisition costs. How much do your paying customers spend throughout their lifecycle? What percentage of people that sign up actually pay you? percentage of folks that visit your website sign up? In addition, use marketing automation software to nurture leads effectively. Tailor campaigns to move leads efficiently through the purchasing cycle. With tools like HubSpot and Marketo, your team can improve email targeting, convert leads into sales faster, and align data with future projects. Figure out the best growth mix for your niche. 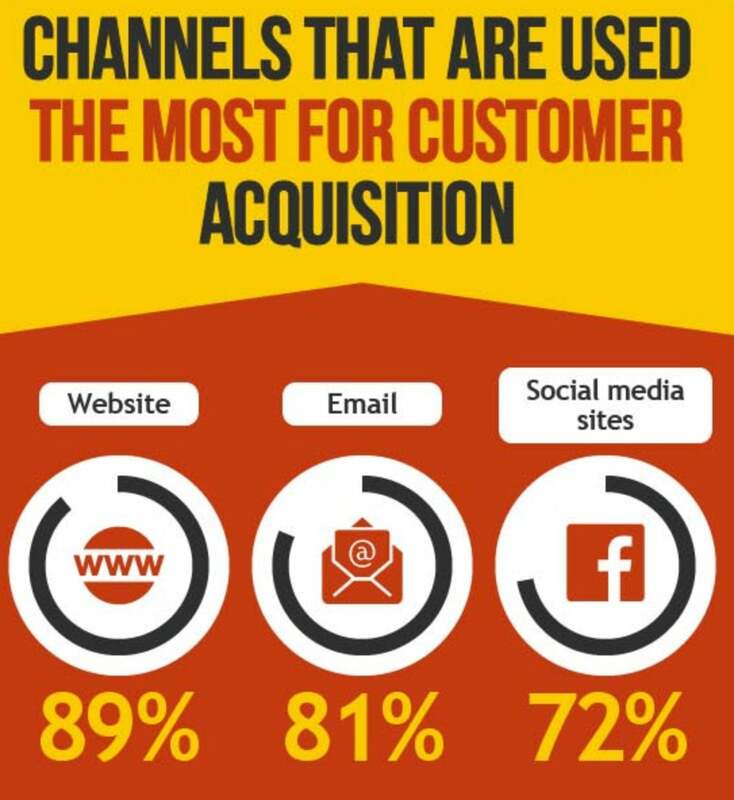 Experiment with different acquisition channels. Then, analyze the results. Decide what needs to stay and what’s worth letting go. Be prepared to use your resources to execute a quality plan. But test different strategies to lower the costs. The old sales model is overrated. Because of technology, people can learn about products with the click of a button. It’s rare for folks not to Google something before purchasing a product. Rather than persuading prospects, become a trusted partner. Challenge your team to educate the customer without the hassle of buying. “Without sales there is no business. Sales is an opportunity, not a punishment or obligation. It’s time to stop giving selling a bad rap, shift your attitude and educate your way into making the sale,” says Deborah Shane, a small business podcast host. When you share valuable information, your company becomes an industry expert. Shoppers learn to trust your opinions without the fear of being misled. Establish your brand as an authority. Host webinars to inform prospects about your products. 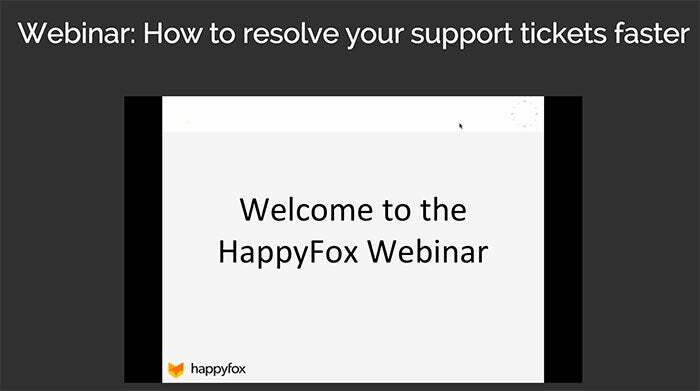 For instance, HappyFox creates presentations to show prospects how to track the effectiveness of the support process. And offer social proof to validate your product’s value. 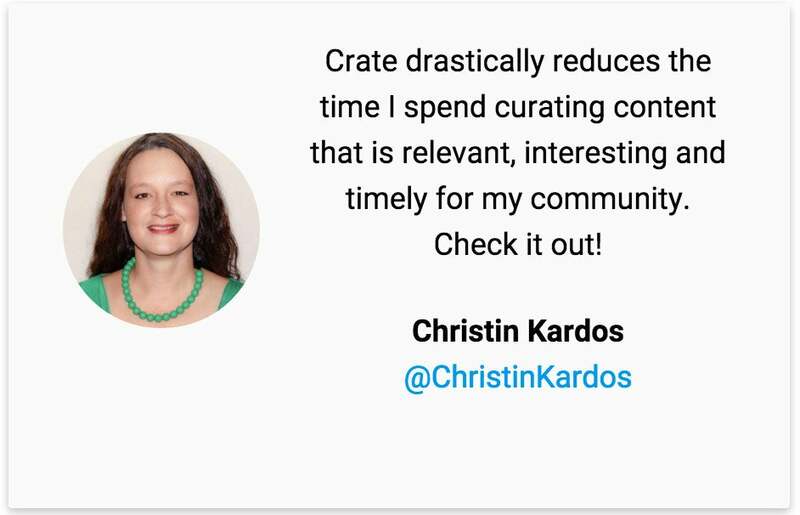 Crate, a content curation tool, highlights reviews from satisfied customers. Notice how the company not only quotes the customer, but also adds the person’s photo, name, and external link. Don’t just claim to be the best SaaS in the market. Back up your product’s solution through educational material and testimonials. In our global economy, businesses no longer thrive in isolation. It’s critical for eCommerce marketers to build partnerships to create a sustainable business model. Gain exposure to new audiences by partnering with other brands. Through strategic alliances, your business can do more with less. “By developing the right strategic alliances or joint ventures, your company can, in many cases, increase market share, as well as gain additional financial and human resources to meet client demands,” writes Carolyn M. Brown, senior content producer at Black Enterprise. 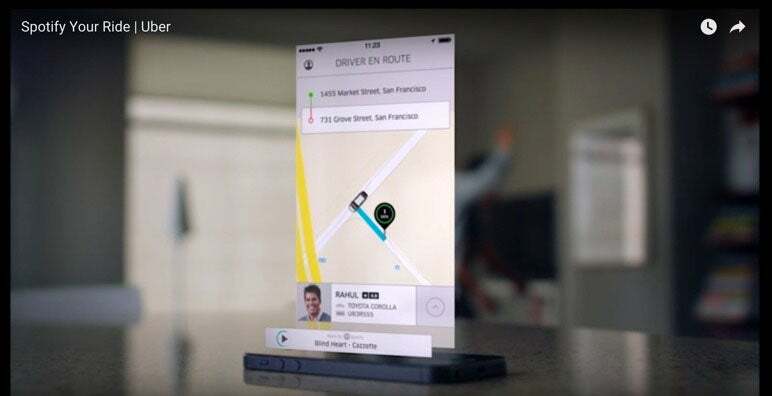 Spotify and Uber teamed up to give their customers the enjoyment of hearing their favorite playlist while riding in a hired car. The partnership added an exclusive value to Uber riders, while Spotify received a unique selling point for its members to upgrade their services. Also, experiment with coordinating co-marketing campaigns with influencers. “Co-marketing is when two or more entities market together, and the entities both benefit from shared brand awareness, audience and results,” states PR mavenAllie Freeland. Co-created content can include infographics, Twitter chats, white papers, or even podcasts. 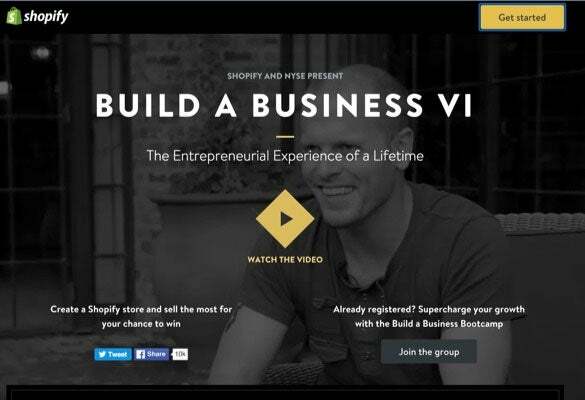 Shopify partners with the New York Stock Exchange to give entrepreneurs anexclusive week of mentorship. Winners receive advice from well-respected influencers, including Tony Robbins, Russell Simmons, Tim Ferris, and Marie Forleo. Earning customers doesn’t always mean reinventing the wheel. Sometimes, joining forces with like-minded brands can boost new paid users. Grow your SaaS company by grabbing the attention of new customers. In order to earn more business, zero in on long-term strategies, not one-off flukes. Build relationships with prospects with on-going engagement. Solve your audience’s problems by educating them about your product solution. And develop partnerships with other companies to expand your reach. Be strategic. Acquire more customers.